and be the first to receive new product updates & special offers. 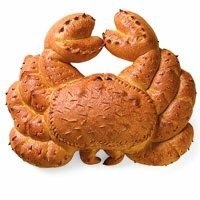 Enjoy this whimsically sculptured Sourdough Crab. Now available for sale as one unit on popular demand. 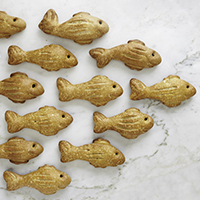 Enjoy this whimsically sculptured Sourdough Fish Pack. 12 perfect loaves for a lunchtime sandwich or after-school snack. 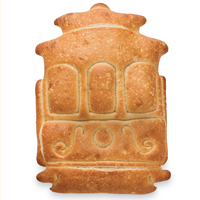 Two great San Francisco icons, Cable Cars and Boudin Sourdough Bread delivered to your door. You'll receive 2 Sourdough Cable cars, each handcrafted by our most experienced bakers. Share the gift of love—San Francisco style—on Valentine’s Day or any special day. This romantic gift includes two 1 lb. 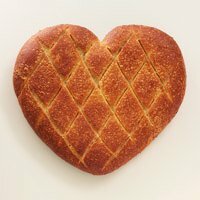 sourdough bread hearts. 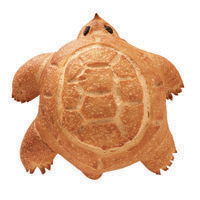 Only our most experienced bakers can create these wonderful Turtle breads. Alligator Sourdough Bread is the perfect finish for your dinner table. Weighing over 2 LBS and over 22" from head to tail end this will serve a large family dinner. 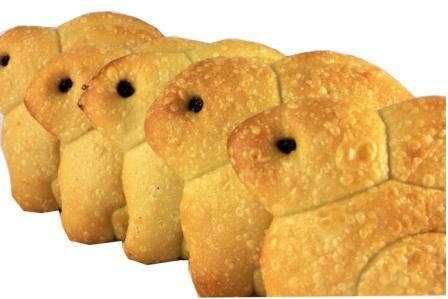 Only our most experienced bakers can create these wonderful handcrafted Teddy Bear sourdough breads. Harvest time in Napa Valley and Sonoma Valley in Northern California is here. Time of abundance with this sculptured bread from our master bakers in San Francisco. Nothing is much better than chocolate and sourdough - until you add sweet plump cherries! 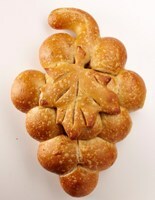 Enjoy The Original San Francisco Sourdough and our specialty Challah Braided loaf this holiday season! Our Master baker Fernando has been working hard in the bakery perfecting this loaf and lucky for us he is finally ready. Introducing Sweet Cinnamon Delight. 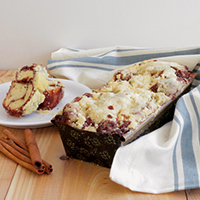 Inspired by the classic, “Monkey Bread”, this pull-apart or sliced loaf is a true hit. 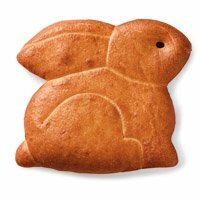 Celebrate springtime with these adorable Sourdough Bunnies. 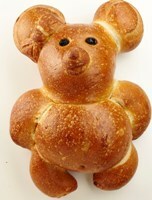 Celebrate springtime with these 4 oz 1 dozen adorable Sourdough Baby Bunny Rolls. 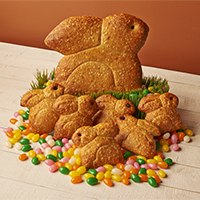 Make Easter Bunny-tastic with these flavorful loaves! Gift includes: One 1 lb Sourdough Easter Mama Bunny & six sourdough Baby Bunnies. Candies not included.